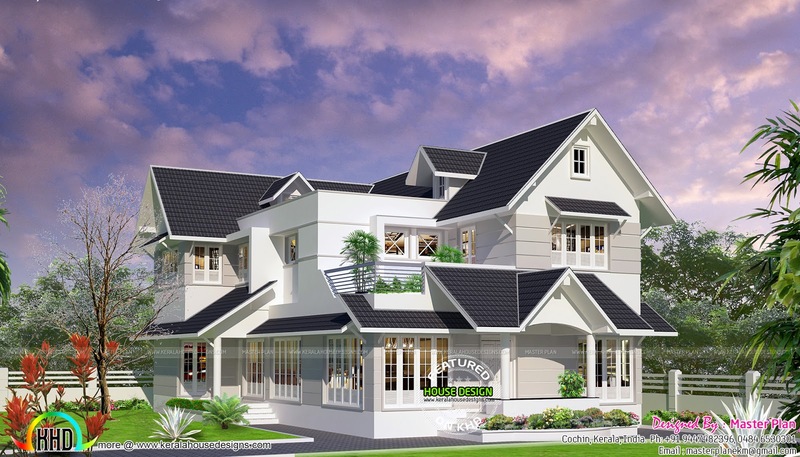 2460 Square Feet (229 Square Meter) (273 Square Yards) Colonial touch modern house exterior with 4 bedrooms. Designed by MasterPlan, Kochi, Kerala. Ground floor : 1580 sq.ft. Total area : 2460 sq.ft. 0 comments on "Colonial touch home in 45 lakhs"